The textured leaf cushion covers brought to you by Nikamal brings your home the modern and symmetrical touch that you desire. Its simple and regular leaf patterns will give your sofas a soft, muted detail. 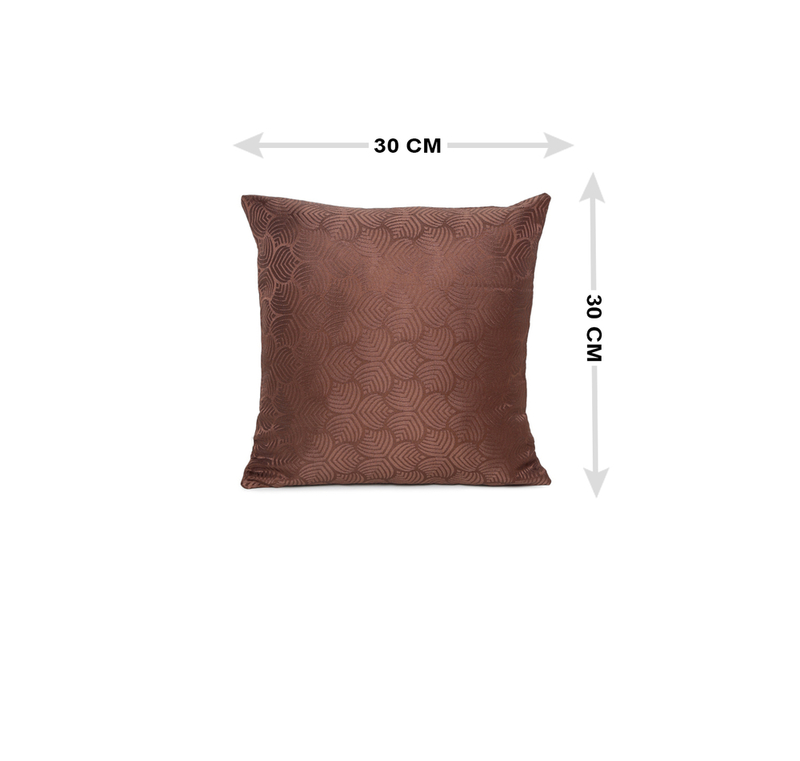 The brown in the cushion fabric will immediately set with the colour of your sofa as brown is often used in making design patterns for covers. These cushions will tie your entire room together and will further highlight the kind of vibe you are going for. The material used to make these covers is polyester, which is sure to last for a long time. These covers do not need any kind of maintenance as they can be washed in the machine, or by hand. The closure method in the cushion cover is zip, and this will make it easy for you to change covers. The zip will also make for a full, well-fitted look of the cushions.